Third party studies have shown that as page load times decrease, conversions and revenue increase. According to Google, 53% of users will abandon a site or web page if it doesn’t load within three seconds. 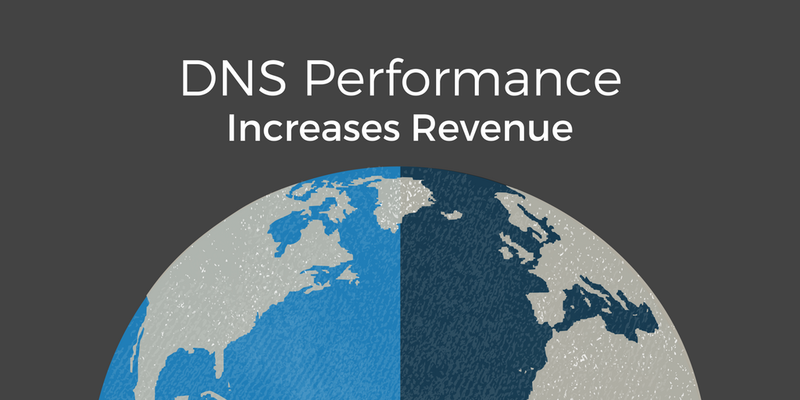 Of those three seconds, 50% of the load time can be attributed to network overhead –which includes DNS requests. Over the past few months, some of our newly acquired clients have shared their results on social media. 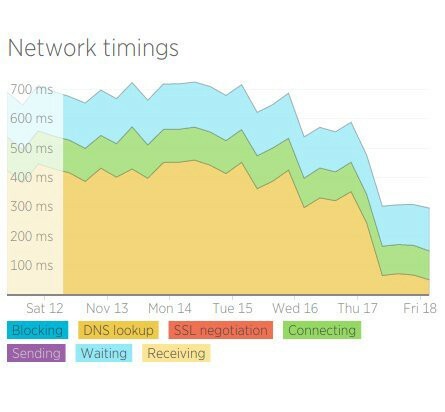 As you can see, DNS performance changed almost instantly after clients migrated their domains over to DNS Made Easy. Here is another before and after screen, courtesty of Brian Jackson at Woorkup. Who also wrote a very detailed and well researched review of the top DNS providers before he ultimately moved over to DNS Made Easy. In the past, surveys were limited to clients that only used DNS Made Easy for their DNS hosting. However, new industry trends have led to the inclusion of brands that use DNS Made Easy as one of multiple providers. In light of recent attacks on major DNS providers, many top brands have added a Secondary DNS provider. Of the multi-vendor clients, 86% of respondents reported that they had seen a decrease in resolution times on a global scale. Of those that saw increased performance, 79% reported a noticeable increase in revenue. DNS Made Easy research has shown in the past that when a client uses more than one provider they are more likely to see decreased resolution times on a global scale. Queries are distributed across both providers and the resolving name server will favor the better performing provider at that site and send it more traffic. Since DNS Made Easy is the fastest provider in the industry (according to third party monitoring firms) adding DNS Made Easy as a secondary provider is likely to increase the performance of clients’ domains.